It can sure be overwhelming preparing for your or a family member’s wedding. There’s so much to do and you literally don’t know where to start. Yes, I’ve been there and here I am trying to make it a little bit easier for you. I’ve listed down exactly what needs to be dealt with in order of priority for a desi wedding. This was also the list which I had shared with a colleague of mine who got married just after I did. She told me this was very handy so I decided to share it here so you can also benefit from it. What you will notice is that luckily we don’t have to worry about Jahez (dowry). My family, my husband nor my brother-in-law believe in such traditions. I see a lot of people around me who have to buy expensive furniture and appliances to take it to the husband’s house after marriage. My husband was sweet enough to tell me during our engagement time that he is not marrying me for any such reasons. In Pakistan, most weddings comprise of Mehendi, Shadi and Walima. It is best to minimize the functions to save yourself and others time, energy and a lot of money. It is true that there is no upper limit of expenses during weddings, but we must remember that we shouldn’t be very extravagant and not waste resources. We have to be very careful and set up our own budget according to our means and stay within that, no matter what. It’s sad to see so many people getting carried away and showing off so much. Research has revealed that there is a much higher percentage of those marriages failing which had an extravagant wedding function. It is often our own misunderstanding that if we buy from a famous designer, we will save up on a lot of hassle. I know of countless cases where well-known designers also gave a really rough time to clients and they had to pay ten times more. The list is as follows in order of priority. This includes finalizing menu, stage, lighting, chairs, DJ and background music. At this point, you can give them a rough idea of no. of guests. Final total no. of guests after the guest list can be conveyed on the phone. If you want your own choice of background music, (like I did) you will have to work on that too and hand it over to them before the wedding. Our bridals take really long to get ready so this is the second thing which we need to finalize as soon as our wedding dates are set. It is probably the hardest job of all to look for your wedding dress ideas and inspiration. We all want to look good on our wedding day. So we don’t want to look like someone else or appear too cakey on our main day. It’s best to choose a parlour that is tested and is reasonable. I suggest that we should search, experiment on ourselves and decide on what colour lipstick we want on that day. We should also have an idea of what hairstyle we want. These should be conveyed and their pictures shown to the makeup artist before they start. They mostly tell you their opinion but if you are sure about what you want, you shouldn’t get in their pressure and tell them firmly that you want it to be done this way. If you don’t do so out of courtesy, you won’t like your look and your day will be ruined. So its perfectly okay to say ‘no’ if you don’t like something they’re applying on you on your big day. This is the time to analyze what you have and what you need properly. Buying and keeping Gold jewelry is a very big responsibility. Its Zakat is due every year which is a bit complicated to calculate. Its payment is mandatory. We have to always keep it locked and also invest in a locker with yearly fees. So try to have as less of it as possible. I have learned the hard way that you lose a lot of money in selling Gold Jewelry. So honestly I feel that it is a very poor kind of investment. At the time of selling it, they will break it all up in front of you, you will get nothing for any stones on it. Even rubies, emeralds will be broken off it (along with your heart when you see them hammering it all up into pieces). You will also lose out on all wastage and labour cost you paid at the time of buying it. I suggest women should invest in other ways. Keeping in view the above, I think we should only buy jewelry for our wedding day. It’s not a bad idea to sell off even your wedding jewelry right after the wedding to avoid all this hassle. There are amazing Kundan, Silver sets available which you can buy for formal occasions. Gold jewelry fashions change very quickly so keeping sets in your locker for years is not a good idea anyway. These days cinematic and normal video options are available. Social media is a great place to look for the best photographers in your town. Get the rates and book the one that suits you best. In our case, both my sisters are professional photographers so they wanted to cover our bridal shoot. We hired one for the event. A proper guest list must be made on MS Excel in a computer with columns whether they are expected to come or not. This includes looking for the best card, words to write, and the no. of cards to be printed. With the help of my sisters, we thought of making cards ourselves and after a lot of hard work, we finalized the following. I literally spent some hours at the printing shop as I manually got them all printed myself there. Plan very well how many and what type of dresses you require. Try to keep them as less as possible. Trends and fashions change very quickly. Even un-stitched suits become old fashioned very soon. I would suggest that at the most one should get ten formal dresses made. In case you are moving abroad, they should be even fewer. I find it very easy to buy and wear silver and Kundan jewelry on formal occasions. You won’t even have the fear of having them misplaced as they are very inexpensive. They are available in the latest fashion and you can stay up to date. This includes buying cosmetics, nightwear, intimate garments, shoes, purses, casual wear clothes. Finalizing who will apply henna on hands, arms and feet on the wedding day. If you want a specific type of Mehendi and want to avoid the risk, then you should print out the designs you like best and ask the person to make those ones. If someone comes home on Mehendi morning, then brides family and friends can also get it done. Before the wedding or on the wedding day, the groom and his close family are normally sent gifts. The groom is often given a watch and In-laws are given sarees or suits. 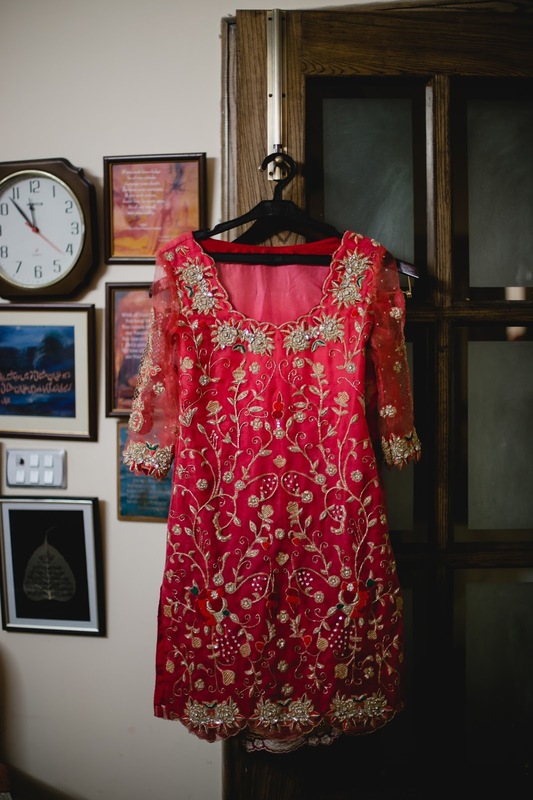 During Mehendi function, at the time of the bride’s entry into the hall, her sisters normally hold a decorated Thaal which contains nuts, sweets, chocolates, henna, leaves etc. I understand a desi wedding has too many nitty gritty details as well which need to be planned. But of course it isn’t possible to mention all those so I decided to stick to the important main ones. I hope you could relate. This was all for today. Did this post help you a little in your wedding preparations? Did you prepare differently for your wedding? Brill. Simpler the best. Couldn't agree more. Thanks for reminding that organising our tasks always saves us in so many waves. And the wedding card idea is really good. Plus kundan jewellery. Why spent so much on gold when you can look stylish in artificial. I love that wedding invitation. Thank you so much. Decided to go for an unconventional design. So glad you feel the same way. Gold is a big responsibility and too much stress! Thanks to my sisters who designed it for me. They have a list of approved caterers and valet parkers which you are required to choose from. The event coordinator at wedding venues Los Angeles was very professional and cool enough to let us come in and tour on a Saturday while another wedding was setting up. There are many types of photography including sydney wedding photography, landscape photography, abstract photography and documentary photography. you are sweet heart <3 Whenever I prepare 'to do list' for some main tasks, the first name popup in my mind is You. I am addicted your organizing blogs and yes definitely others too, full of life/colors *hugs* Keep growing keep glowing !